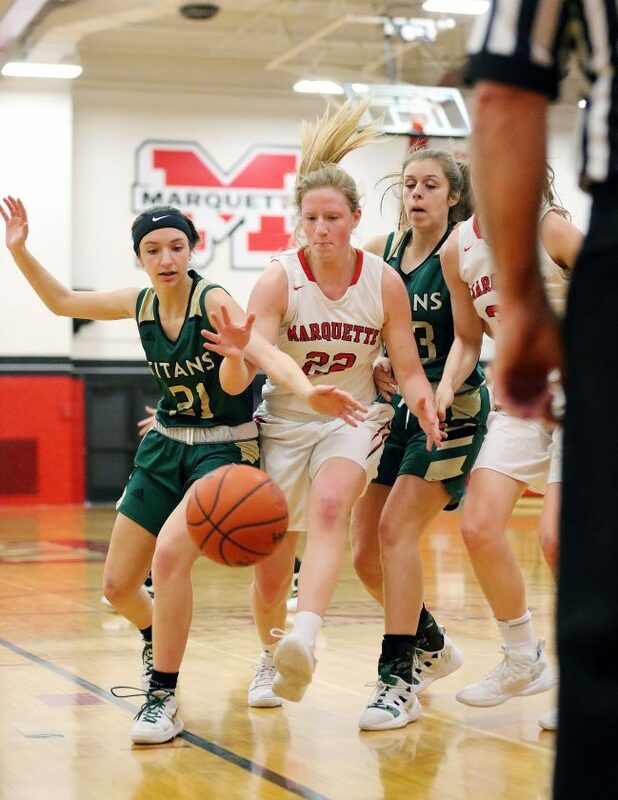 MARQUETTE — Traverse City West could claim one victory on Friday night in its MHSAA Division 1 district tournament championship game at Marquette Senior High School. The Titans won the first three-plus minutes of the third quarter, 9-3. The rest of the game, though, was all Marquette, all the time. The Redettes epitomized their suffocating defense by tossing a shutout against TCW in the second quarter for a 62-24 victory and their fifth straight district title. While this year’s crown came in Division 1, the past four were in its old letter equivalent, Class A.
Marquette plays again at 7 p.m. Monday in a regional semifinal against Midland Dow, which won its district with a 48-23 victory over Bay City Western on Friday. 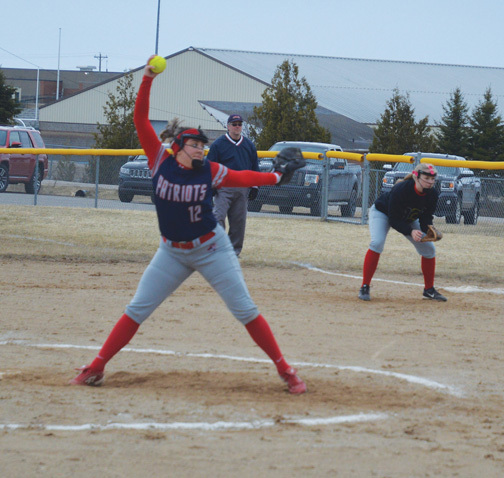 A win in that game would put the Redettes into the regional championship game at 6 p.m. Wednesday against the winner of Monday’s other regional semifinal between Saginaw Heritage and Flint Carman-Ainsworth. Without any actual slam dunks, Friday’s victory was pretty much that spectacular basketball play from the beginning. The Titans actually grabbed a 3-2 lead when Tacey Looze sank a 3-pointer with about 5:45 left in the first quarter. 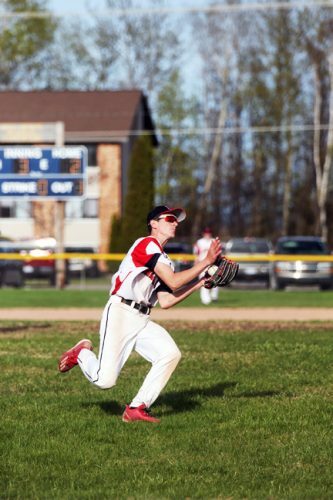 “We let them loose to get a 3 early, then we tightened up our defense,” MSHS coach Ben Smith said. So tight that the Titans scored just two more points for the remaining 13-plus minutes of the first half. 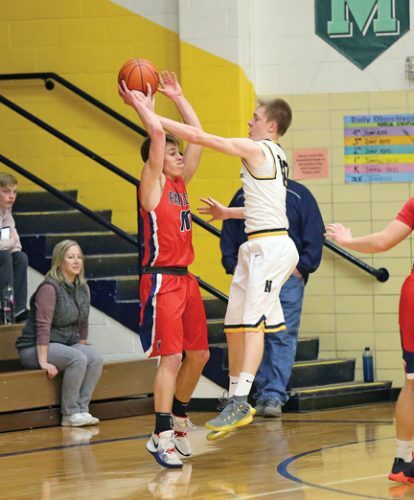 Despite an offense that sputtered in fits and starts at times, the Redettes built a 16-5 lead after one quarter that ballooned to 32-5 by halftime. That was in stark contrast to these teams’ first meeting in Traverse City early in the season when Marquette escaped with a 51-40 victory after being tied at halftime and leading by just three points entering the final quarter. “Give credit to our kids for their effort and energy tonight,” Smith said. “It’s easier when you know just what you have to do. That’s easier than when you’re trying to figure out what the other team will do. Traverse City couldn’t work penetrate the perimeter seemingly for the first quarter and a half. Then when they did a couple times later in the second quarter, Marquette had shot blockers ready to pounce against the smaller Titans. 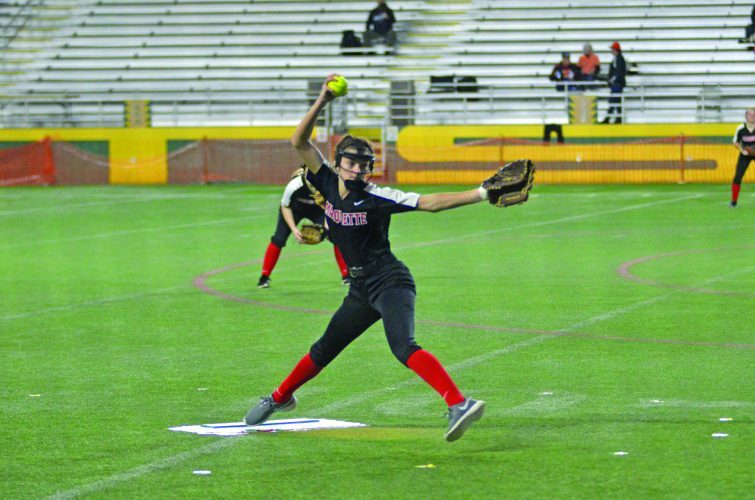 “We knew we had to control the tempo and try to work a little bit on the inside,” TC West head coach Doug Baumann said. “The biggest problem we had was our execution. Redettes senior forward Sydney Kivi, who finished with a game-high 13 points while pulling down seven rebounds, said she and her teammates were ready for the challenge of winning a district title. “This was better than we even planned for it to be,” Kivi said. “We had a lot of energy. The senior were ready to fight in their last game ever here (at Marquette). And it didn’t hurt that freshman Maria Millado, a callup from the JV for the postseason, contributed 10 points while playing significant minutes early on. “It’s good to give some of our young players the experience of playing in the tournament,” Kivi said. Once Marquette built its 27-point halftime lead, an early second-half letdown couldn’t be surprising even if it wasn’t expected. 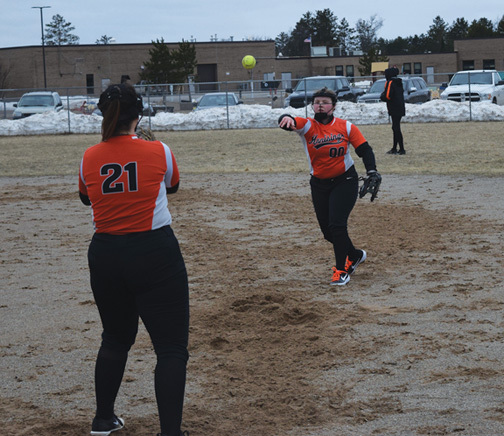 “We made some adjustments defensively at halftime, and put in a couple of adjustments on offense too, trying to get a better flow going,” Baumann said. It worked for a few minutes as TC West cut its deficit to 35-14 after Looze hit her second triple with 4:55 left. Then Marquette tightened the screws once again, outscoring the Titans 10-2 for the rest of the period to make it 45-16 entering the fourth. Smith pulled his starters for good about 2 1/2 minutes into the final period, and the second wave provided some offense that the starters couldn’t consistently provide. That was particularly true for sophomore guard Rayna Warchock, who rained in a triple and a pair of deuces for a quick seven points. Overall, four Redettes scored in double figures. Along with Kivi and Millado, junior center Madison Carter had 12 points and three steals, while junior Aspen Michelin added 10 points. And senior forward Avery Ledy, while scoring just two points, contributed team highs of eight rebounds, six assists and two blocked shots. MSHS actually shot well, making 55 percent of its shots on 28-of-51 shooting, though the Redettes were just 33 percent at the free-throw line (3 of 9).